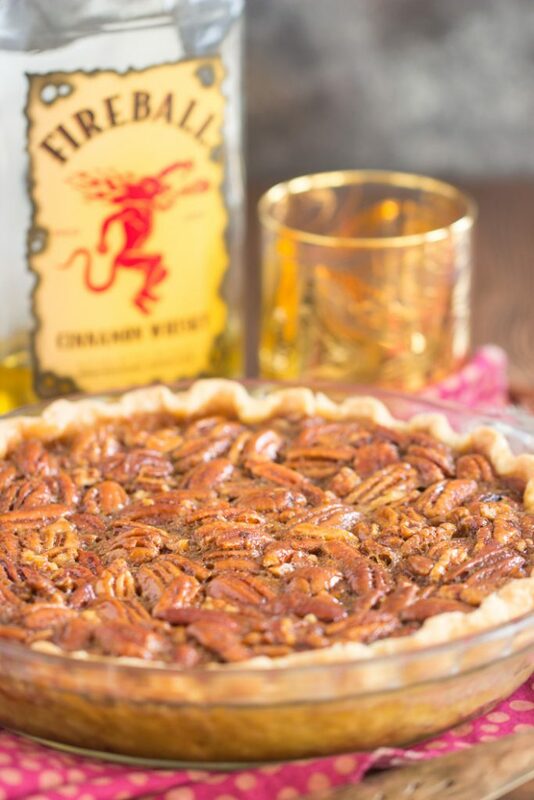 Traditional pecan pie gets a flavor makeover with the addition of Fireball whiskey! 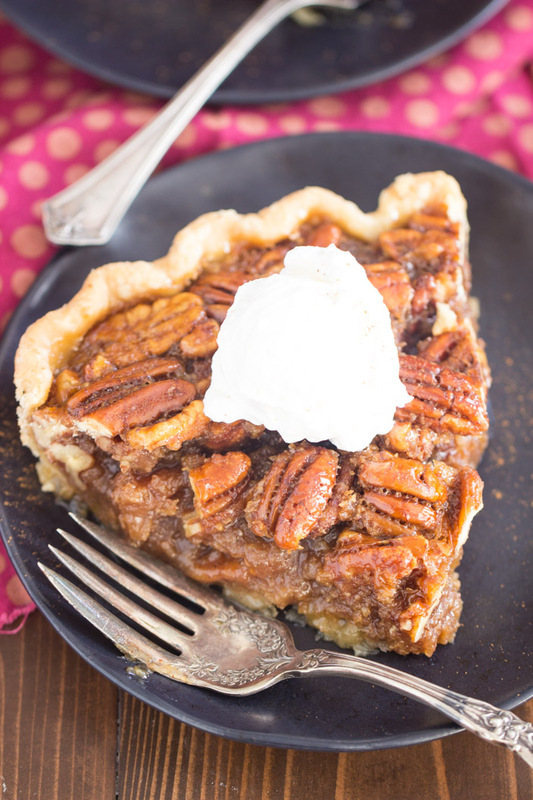 The resulting Fireball Pecan Pie is gooey, sweet, spicy, and boozy – and it’s anything but traditional! 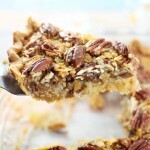 This Fireball Pecan Pie is refreshingly easy and simple! Sorry, sorry, sorry if you don’t like when I get repetitive with a certain ingredient, but to be fair, y’all seem to really like Fireball recipes! It’s becoming a thing around here. I’ve got 4 Fireball desserts now on the blog (5 counting this Fireball Pecan Pie), and then I also compiled an awesome roundup of 20 Sizzling Fireball Recipes a few months ago. I feel like I’m beating you over the head with certain things sometimes, but if you like something, I’m going to give you more of what you like! Give the people what they want. My friend Blair tells me that I just need to get over feeling repetitive! I think it’s good advice. Until you all tell me you don’t want to see anymore Fireball desserts, they’ll keep coming. Frankly, I’m a huge fan, so I don’t really want to stop anyway. 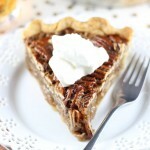 This Fireball Pecan Pie is my Brown Butter Bourbon Pecan Pie, but I didn’t brown the butter (though you certainly can! ), and I swapped bourbon for Fireball. That’s mostly it! 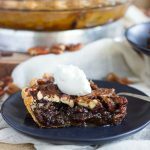 I love that Brown Butter Bourbon Pecan Pie, and it’s a well-loved recipe by readers, so it was the perfect recipe to adapt. Just a few simple tweaks. The only other change was adding a teaspoon of cinnamon to enhance the flavor of the Fireball. 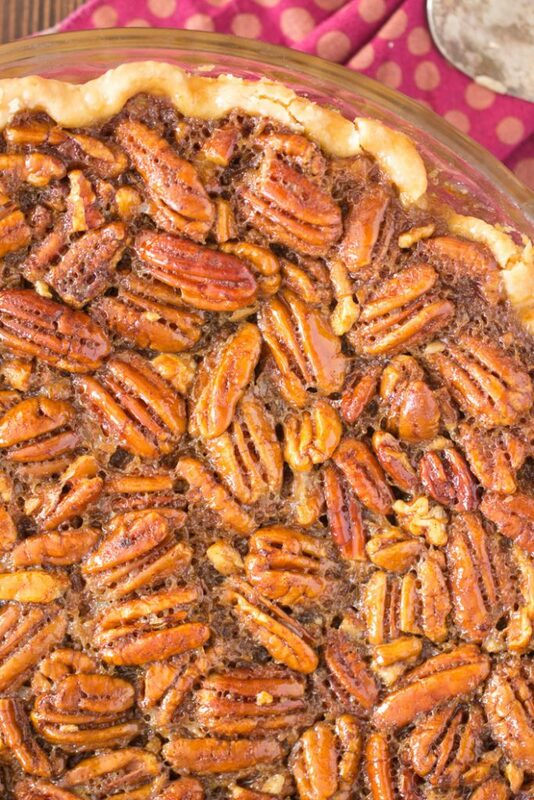 This Fireball Pecan Pie is so great because it’s full of warm, spicy, cinnamon goodness, but it’s not overwhelming, and it doesn’t overtake the whole pie. You still get all the things you love about classic pecan pie – ooey, gooey, sticky sweetness and toasted, nutty pecans, but with a touch of cinnamon booze. 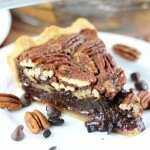 It gives the pie a bit of edge, but it’s still really sweet and gooey like a traditional pecan pie. 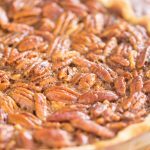 As with most pecan pie recipes, this Fireball Pecan Pie is ridiculously simple. You can cheat with a store-bought crust, if you’d like (I like), and otherwise you pretty much whisk together all the filling ingredients in one bowl, and pour it in the crust. A total breeze. If you’re a fan of spiking desserts with booze, and you like Fireball, check out these other Fireball recipes: Fireball Apple Crisp, Fireball Apple Pie, Fireball Cake, and Fireball Whiskey Caramel Sauce recipe! They’re all quite popular! 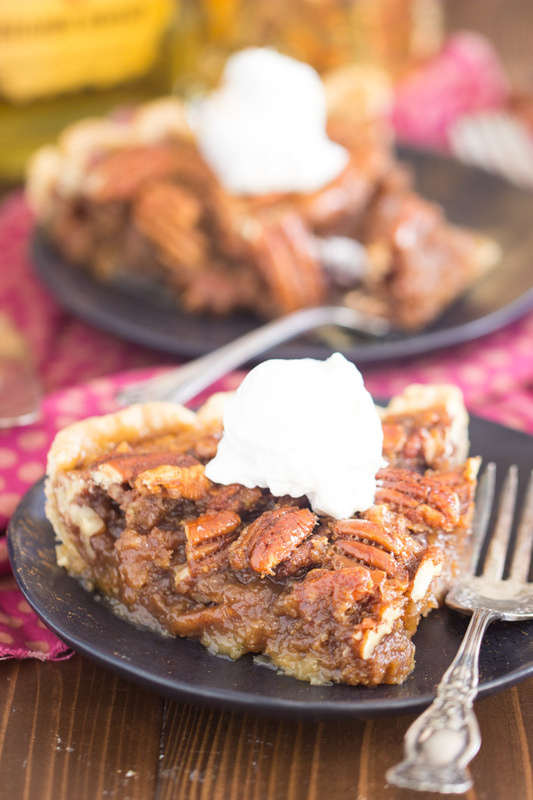 Traditional pecan pie gets a flavor makeover with the addition of Fireball whiskey! 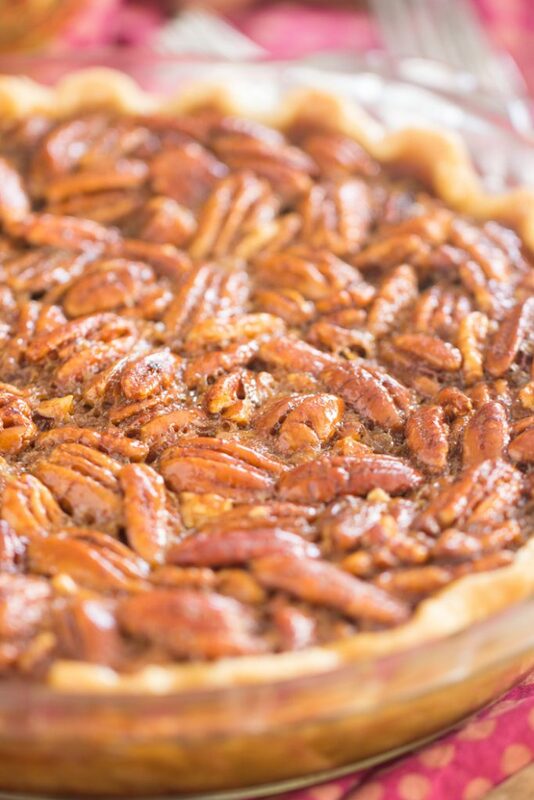 The resulting Fireball Pecan Pie is gooey, sweet, spicy, and boozy - and it's anything but traditional! 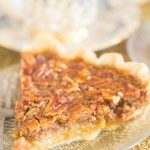 This Fireball Pecan Pie is refreshingly easy and simple! In a large bowl, whisk together butter, dark corn syrup, light corn syrup, sugar, eggs, Fireball, vanilla, and cinnamon. Bake at 350 degrees for 40-45 minutes, or until edges are golden, and the center is no longer jiggly, and appears set. Chill, if desired, before serving - it seems to make it easier to cut! Cut and serve. Top with whipped cream.